Purpose of calculating the volumetric weight is determination of space occupied by the place . This standard is mandatory for all air transportation. Calculation of the volume for Inches - multiplying box dimensions (length, width and height) and dividing on volume weight factor of 366. In case of calculating for centimeters the volume weight factor is 6000. 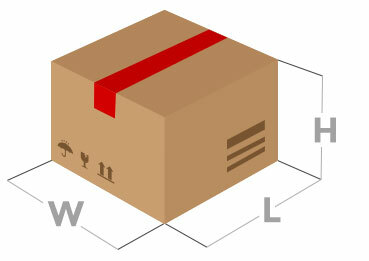 You can calculate volume of your box with calculation form bellow. The first method to avoid Volume weight. 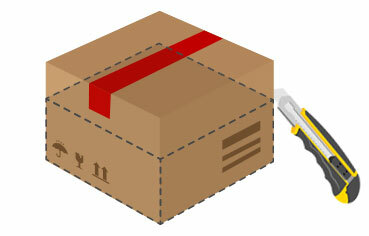 Put in a box all goods as compact way as possible; press with hand on the items from the top and with a knife cut four corners of the box from the bottom above (from level of goods); Draw four horizontal lines with edge of knife on level of goods (just draw and do not cut). Remember, that every inches or centimeters are important to reduce the size in order to pay less. The second method to avoid Volume weight. 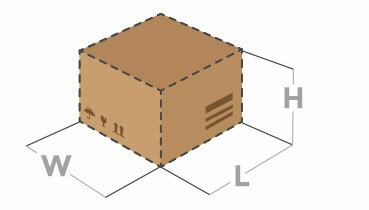 In case of shipping some types of products, because of the shape of goods, it is impossible to reduce the size. For example a baby stroller, toys, patient care products - in this case should try to fill the empty space in the box with the other items in order to reduce the difference between the volume and actual weight. In this case, the volume and amount of service remains the same, but the you will be able to send more products for same price.